Outernet: Welcome to Outernet, Africa! We are very excited to announce that as a result of the momentum of this campaign, we are able to turn on a signal that covers sub-Saharan Africa beginning today, December 1, 2014. 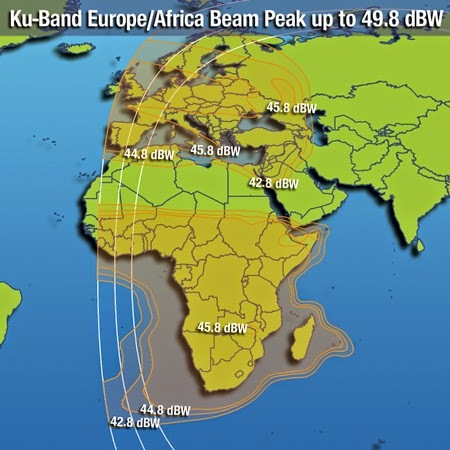 This signal will be over Ku-band and so it requires a dish to receive the signal, which will be at an initial download rate of about 200 MB/day. Anyone who wants to take advantage of this signal right away can visit our website for instructions on how to build their own receiver. When Lantern ships next summer, you will be able to plug it into a dish in order to receive this high speed signal. This is not required - Lantern will always receive its own data - though for increased data a user may add a dish to Lantern. Data is being broadcast from Intelsat 20, so dishes should be pointed to the appropriate coordinates based on user location. Hi Mr Thane Richard, i live in Madagascar, and i d like to know if the internet free flow is still available over there ? i was searching on the web last days different projects of free web, and yours seems to be the only one actually concretely working and available… Thanks.